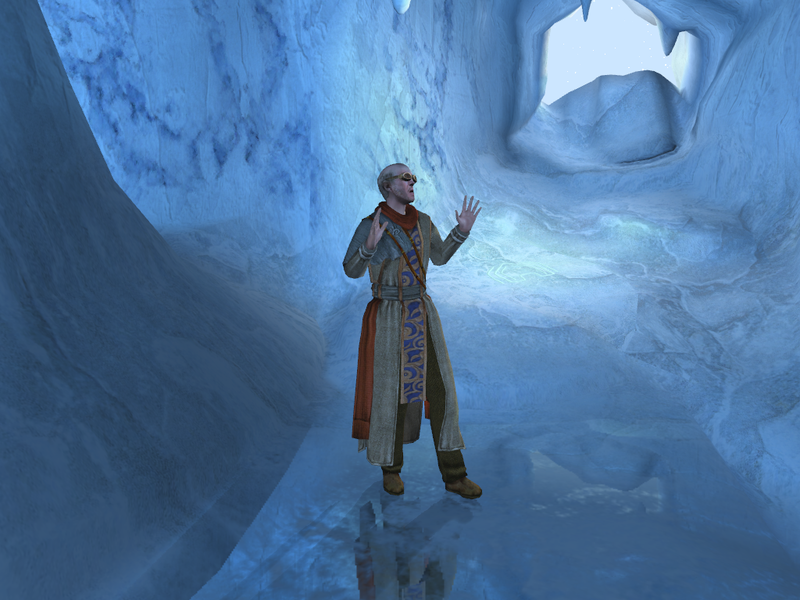 Myst Online: Uru Live is being shut down less than 24 hours from now. I report this with some sadness and some frustration — frustration because I only learned today that this was going to happen. If I had heard the news when it was first announced two months ago, I would have made more effort to experience it while I could. I actually registered an account on Uru a few months ago, shortly after completing Myst V, but never got around to playing it much: it seemed like there was a lot of ground to cover to catch up to where the regulars were, and I just didn’t feel like I had the time. Also, it seemed like a lot of the new content was best done with a group — things that would involve running around to a sequence of points on a very tight time limit if tackled alone, but which a group could handle trivially just by stationing people in the right places before the timer starts. I never got deep enough into the social aspect of the game to join or organize groups to for this purpose, and also had the handicap that I was a latecomer who wanted to see the stuff most players were already bored with. Nonetheless, I intended to sit down and play through the whole thing at some point, and now may never have another chance. As a completist, this limited opportunity of access to content has always bothered me about online games. From what I saw, Uru was actually unusually completist-friendly as online games go, keeping previous Episodes accessible like a stack of magazines in the attic. But such a stack, unlike the Stack, is not under the control of its players. I know that I probably won’t actually complete every game I’ve started during my lifetime, but I like to think that I still could reopen any particular one if I choose. It seems like there are two different mindsets here: Some people are more inclined to see games as events akin to live performances, something you participate in, but which then passes, along with its moment. Others approach them more like books, something that can be stored and returned to. The performance attitude may be more realistic: ultimately, everything is transient. But how transient is often up to us. In my lifetime, cinema has transitioned from a transient medium to an archivable one. Sometimes it seems like games are going the other way. Esher is a fairly interesting character. He’s so desperate for the player’s approval! As the game progresses, it becomes clear that he’s basically a nazi, but he doesn’t see anything wrong with that, and he quite honestly doesn’t see any reason why you should see anything wrong with it. He really wants you to see his point of view, and is willing to help you out, explain things, justify himself — everything except stop being a nazi. Now, the stereotypical game bad guy is an apparently superior foe who does everything in his power to stop you, justifying everything you do in response. Esher isn’t like that: even though he’s a bad guy, he’s never an antagonist. This puts you in the somewhat uncomfortable position of passing judgment on someone who’s done you no wrong. It’s reminiscent of the encounter with Gehn in Riven, or even the encounter with Raymond Burr in Rear Window. Unfortunately, the bad endings undercut this by having him turn against you once you’re no longer useful to him. Suddenly he’s more like Sirrus and Achenar than like Gehn. Let me go into more detail. Spoilers ho. By the end, I pretty much knew what the big deal is with the Tablet. It has to do with the Bahro’s immense magical powers. The Bahro can control the weather. They can even control time. And the Tablet? It controls the Bahro. It’s the means by which they were enslaved. Clearly no one can be entrusted with this power. The Tablet should be thrown into the fires of Mount Doom, if you can find them. But the game didn’t seem to give me that choice. When I got the Tablet, I found myself back in D’ni with Yeesha, who held out her hands as if to receive the Tablet, just as Esher said she would. But in the beginning, Yeesha herself insisted that I should not give her the Tablet once I got it, and she wasn’t actually saying any different now. She wasn’t saying anything at all. Up to that point, I had been contemplating giving it to her despite her warning if it came down to a choice between her and Esher. But this? This was eerie. I wasn’t even sure it was really Yeesha. So I decided not to give it to her. That left only one obvious option: taking it to Myst Island, where Esher said he’d meet me. This also seemed like the obvious thing to do because otherwise you don’t get to take a last look at Myst Island. 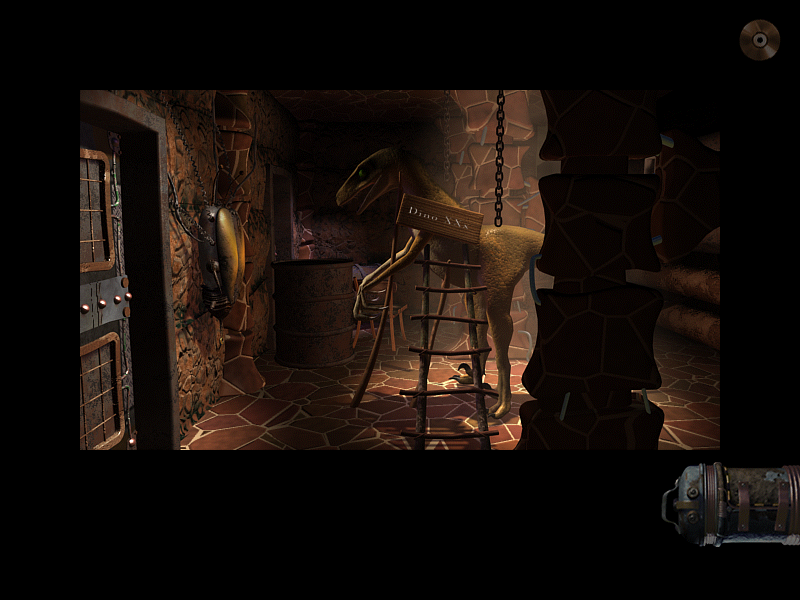 Myst V starts in the room where the original Myst ended, so it seemed reasonable that it would end where Myst began. I had no idea what I’d do with the Tablet once I got there, but hoped some option would present itself. It didn’t. I ultimately put the Tablet in the holder waiting for it, just for lack of anything else to do with it, and Esher immediately appeared and started on his plans to re-enslave the Bahro and conquer the cosmos. The ingrate then marooned me there. I’m glad I went, though, because it gave me the opportunity to see Myst Island in its decrepit, overgrown state. There’s some excellent thunder and lightning effects there. 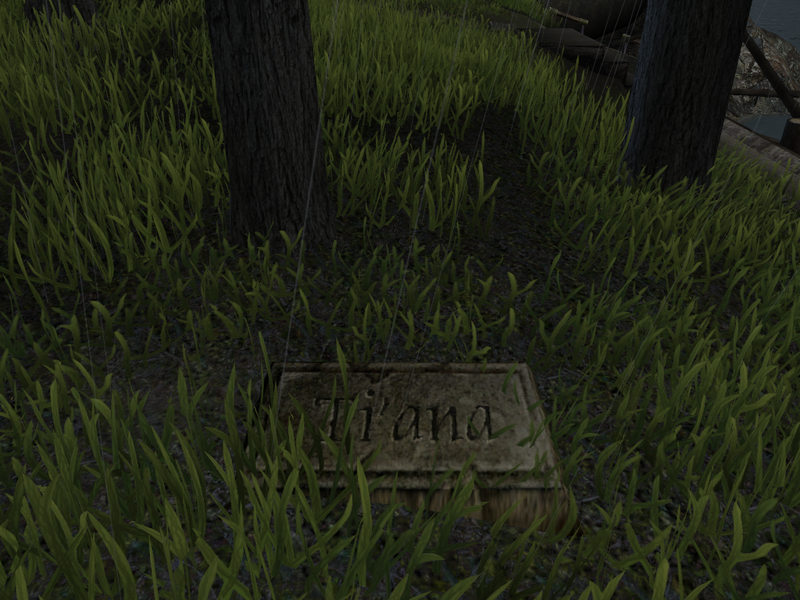 One thing was of particular note on Myst Island: Ti’ana’s grave. “What?” you might say. “I don’t remember a grave in Myst.” That’s because Myst didn’t let you look at it. 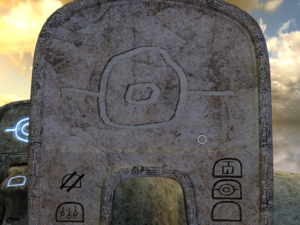 In Myst V, you can’t look at it if you’re using the “Classic” control mode, which seems to replicate the nodes from the original. You have to go into free-movement mode to see it. I tried to give the Tablet to Ti’ana, but no, she’s dead. I also tried leaving the Tablet alone and going to my rendezvous with Esher empty-handed. This presumably stopped him from re-establishing the D’ni reich, but it also left me stranded in the ruins of Myst with no way out. I did eventually discover the correct ending, and unfortunately the final crucial realization was one about the user interface, not about the situation. The resolution is satisfying, but I’d have enjoyed it more if the characters didn’t talk so much. It’s not like they have much to say. 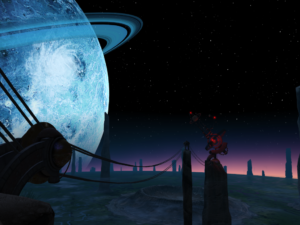 Silence and loneliness were originally a large part of the mood of Myst, and the developers seem to have forgotten that. I’m well into the fourth subworld now. (The “ages” all have names, but I don’t know them. Esher only mentions them once.) This bit must be more graphically complex than the ones preceding it, because the framerate is getting choppy again. It’s nowhere near as bad as it was when I was using faulty hardware, but it’s bothersome enough that I’ve searched online for help again. In the process, I found reviews like this one and these. I had been avoiding reviews up to now, for fear of spoilers, but now that I’m almost done, there seemed less harm in reading them. Having done so, I feel like I’m losing some cred by not hating Myst V. Sure, I’ve complained about the drawing interface, but that’s a fairly superficial matter. And yeah, it’s not Riven, but neither were Mysts 3 and 4. Rasmussen, in contrast, objects at length and in detail to the fact that it’s done in a 3D engine at all. I have to disagree. The ability to move freely is a very big deal. 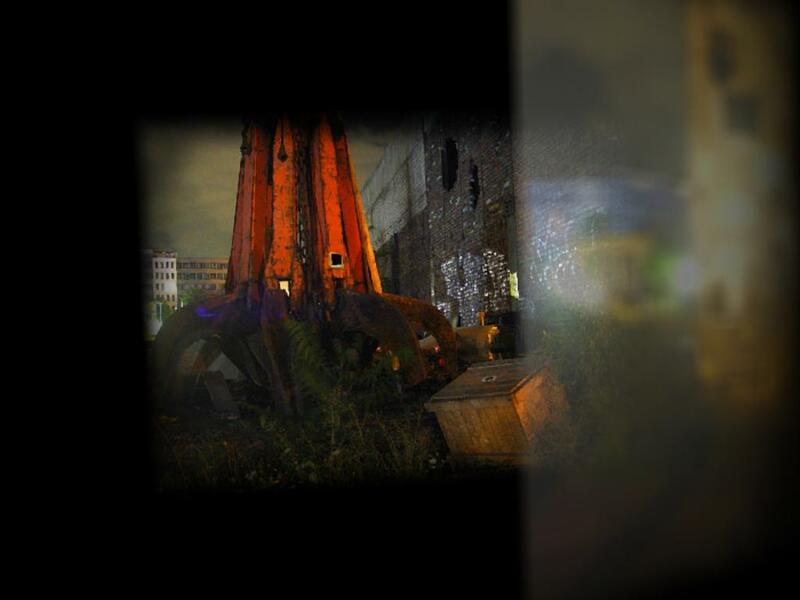 It ends the frustration of limited views: countless times in Myst and Myst-likes, I’ve wanted to get a closer view of something, or look at it from a different angle, but been denied. More importantly, the traditional Myst-like interface makes navigation depend on noticing hotspots. Every time you enter a new area in such a game, you pretty much have to wave your mouse around to find all the places you’re allowed to step. Missing even one can effectively lock you out of crucial areas of the game (as happened to me in a couple of spots in Myst IV). This is not realistic and it is not good gameplay. There’s still a certain amount of hotspot-hunting in a 3D game — there are still things you have to click on to operate, after all. 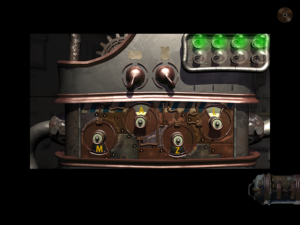 But the buttons on a machine tend to be more obvious than the exitable portions of a grassy wilderness. 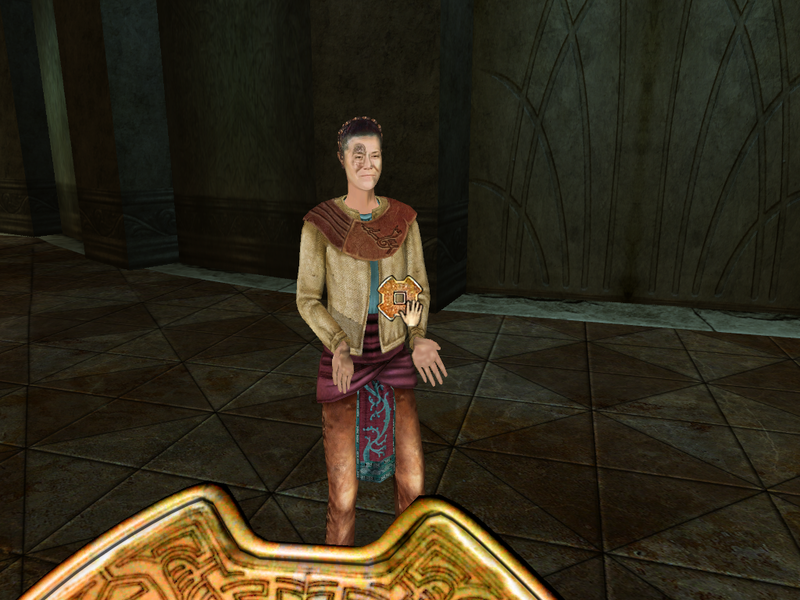 I understand that a lot of Myst fans were apprehensive about the shift to 3D. It makes sense to be apprehensive when you think about other series that also decided to shift to 3D for their final episodes, such as Ultima and King’s Quest. But those games are mainly the result of the developers devoting so much effort to figuring out the new technology that they couldn’t devote adequate attention to the content. Thanks to RealMyst and Uru, Cyan already had their first experimental fumblings behind them. Myst V does a couple of novel things with the user interface. For one thing, it gives you a choice of what UI you want to use. First-person adventure games have basically gone through three stages. 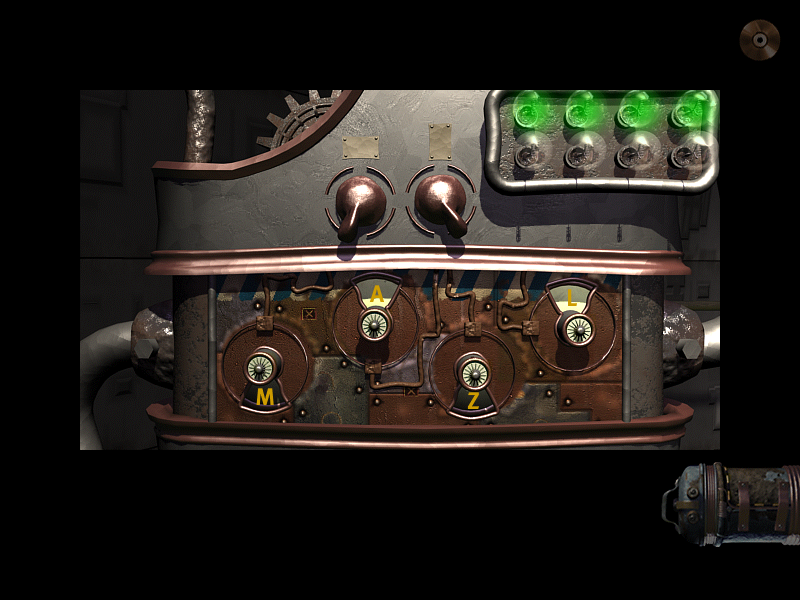 First there’s the static view: the camera is fixed in place, and you click hotspots to move and turn. Then there’s panning views: you click hotspots to move, so there’s a finite set of nodes you can move between, but turning is continuous, controlled by the mouse in some way. Finally, there’s full continuous 3D movement, like in a first-person shooter — something not done often in adventures, but it has been done. Myst V supports all three modes. But in fact I have occasionally switched to “Classic” mode when in difficulty, because the hotspots can act as a sort of guide. If there’s someting important, there’s probably a spot you can click that makes you look straight at it. It’s worth noting that, even in free-movement mode, you use the old-style interface to climb ladders. I don’t just mean that you click on the ladder to climb it, I mean that you click on the ladder twice: once to look at the ladder and automatically shift into “Classic” mode, and once to climb it. It seems unlikely that it would have been designed this way if the designers had been thinking primarily in terms of free movement. The other major UI experiment is the drawing interface. Each of the four main sub-worlds features a slate that you use to give instructions to the Bahro. You do this by drawing shapes with the mouse. It’s a reminiscent of the “gestural” interfaces used in Black & White and early versions of Darwinia before the designers realized how difficult and annoying it was. It’s a bit different here, though, because you don’t have to (and in most cases can’t) draw the shapes in a single continuous stroke, which lessens the annoyance factor somewhat. But it’s tricky to draw with a mouse — especially if, like me, you normally use a trackball for games 1A Logitech Cordless Optical Trackman, for what it’s worth — not to be confused with the Logitech Cordless Trackman Wheel or other similarly-named products. It’s the best pointing device I’ve ever used, especially for first-person games like this one. My only complaint is that there’s nothing holding the ball in except gravity, so whenever you drop the device, the ball comes out and rolls under the couch.. And unlike in other programs you might use to draw pictures with a mouse, there’s no eraser tool and no “undo”. If you make a mistake, you have to wipe the whole slate and start over. I’ve tried hooking up a Wacom tablet 2 “Do you begin to understand the power of the Tablet? Surely it begins to pull you. Its strength grips you. Look around. Without the power of the Tablet, this would be left solely to your dreams.” — Esher, Wacom spokesman. 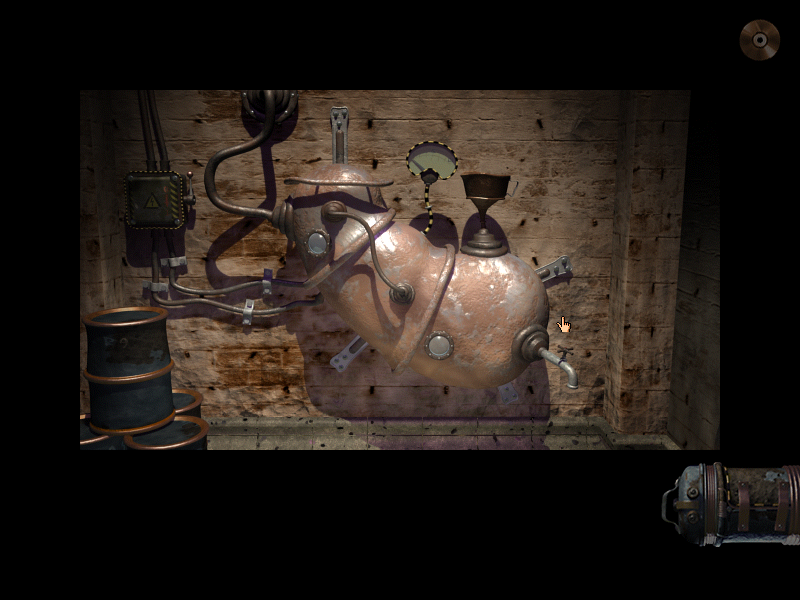 for these bits, but it interacts strangely with the game, sending the cursor zooming into corners suddenly. This doesn’t happen with that tablet under other applications. But at least the game doesn’t ask you to draw shapes more than once. Once you’ve got a drawing that the Bahro understand, it’s automatically saved where you can retrieve it with a click. Recognizing shapes is one of those things that’s traditionally difficult for computers to do, so it’s unsurprising that the game can get it wrong. It’s generally good at rejecting things that aren’t quite right — frustratingly so at times, given the difficulty of drawing. But there was one occasion when I drew a shape completely wrong, and the game decided it was a close-enough match to a different shape, one that looked even less like what I had drawn to a human eye. There may be something going on where the game remembers the last shape you had the opportunity to see and is more lenient about matching it. Usually there’s a single order in which you can discover them, but this level was an exception. Later in the same level, I actually managed to skip a puzzle when the Bahro carried the slate to its final destination without being instructed to do so, perhaps as a result of another mistaken match. Whether these two mistakes are connected, I don’t know. I played through the level a second time, because I don’t like skipping puzzles accidentally, and didn’t hit any false positives that time. 1. ↑ A Logitech Cordless Optical Trackman, for what it’s worth — not to be confused with the Logitech Cordless Trackman Wheel or other similarly-named products. It’s the best pointing device I’ve ever used, especially for first-person games like this one. My only complaint is that there’s nothing holding the ball in except gravity, so whenever you drop the device, the ball comes out and rolls under the couch. 2. ↑ “Do you begin to understand the power of the Tablet? Surely it begins to pull you. Its strength grips you. Look around. Without the power of the Tablet, this would be left solely to your dreams.” — Esher, Wacom spokesman. I had a marathon session this weekend, which is really the best way to play this sort of game. A significant fraction of that time was spent seriously stuck for the first time toward the end of the second major subworld. (You can complete them in any order, but there’s a specific order in which they become available.) This is a segment built around a fanciful astronomical observatory, designed in traditional D’ni fashion: isolated, empty, and built to an impractically large scale. You get that sort of thing when architects can just write buildings into existence without worrying about materials or labor. The D’ni were like game designers in that regard. The puzzles in the observatory age are, appropriately, themed around spotting things at a distance, mainly through telescopes. Given all the time I spent looking around, it’s a good thing the game is as pretty as it is. It’s the first game in the Myst series proper to be completely rendered in 3D, at least if you don’t count RealMyst and Uru. 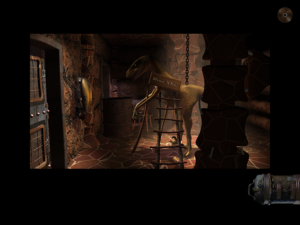 (Although this game is more of a sequel to Uru than to Myst IV, so maybe it should count.) And it really gives the 3D engine a workout. One of the things that always bugged me about the original Myst was the ocean around the island: you could hear the waves lapping at the shore, but it was a still image. Myst V has surf. It has individual strands of waving grass. It has an eclipse at one point, which really took me by surprise. And that’s not even getting into the rendered human figures, with their gestures and their loose, flowing clothing. No doubt it’ll all look laughable in a few years, but for now, I’m suitably impressed. I guess this means I’m playing it at the right time. Ultimately, though, I became unstuck not by gazing at the scenery, but by thinking about what had to happen next. The puzzles had given me access to a certain hard-to-reach place, but with no obvious reward. I had to think about why I was there. This sort of thing can be great, but I honestly don’t think the effect was deliberate on the part of the author in this case. It was just a matter of confusion caused by my having solved a puzzle earlier wthout, it turned out, quite understanding what I had done. So, with my faulty video card replaced, I’ve finally got Myst V: End of Ages running at a reasonable framerate. I’ve explored enough of the hub to gain access to all four of the other “ages”, of which I’ve delved into two and completed one. The story is basically about a struggle between Yeesha and Esher, with the player caught in the middle: for some unexplained reason, I’m the only one who can draw this legendary Tablet from its housing like Excalibur from the stone, and they both have ideas about what I should do with its great but unspecified power once I do so. As a Myst veteran, I know full well that when two people both want me on their side, I shouldn’t trust either of them. But it isn’t as symmetric as Sirrus and Achenar here. For one thing, Esher is actually trying to help me. He knows his way around the quest, having been on it himself at one point, and he comes by to talk more or less every time I’ve made a bit of progress. Yeesha only appeared at the beginning: her point of view is mainy represented through scattered journal entries (a device that’s surely passé by now). And in contrast to Yeesha’s vague and self-absorbed poeticalisms, Esher says practical things like “You will not be able to continue downward without providing fresh air to the tunnels.” Yeesha, at the end of her introductory spiel, actually had the gall to say “What you still don’t understand you have failed to hear or don’t need to know.” She’s actually blaming me for her inability to communicate clearly! So, yeah, I’d be a lot more sympathetic towards Esher than towards Yeesha if it weren’t for the fact that he’s a jerk. He’s constantly badmouthing Yeesha in a sleazy effort to get me on his side. A lot of what he says is stuff I’ve said myself — complaints about her vagueness and self-importance — but it’s sleazy anyway. Plus he also seems to hate her for her ancestry more than for any other reason, being the great-granddaughter of the woman who destroyed D’ni. Also, he’s contemptuous of the Bahro, the beings I know from Uru as “the Least”. In Uru, there’s a whole plot about how the D’ni enslaved the Least for their inherent ability to “link”, to make the connection to other worlds, and there’s an epiphany moment when it’s made clear that the Least and the apelike creatures that lurk in dark places and make disquieting noises are, in fact, the same thing. Yeesha supports Bahro rights, but Esher thinks they’re primitive, unclean things and that the D’ni had the right idea. In fact, Esher seems to be generally gung-ho about restoring D’ni civilization without learning any lessons from what happened to it. All of the above is heavy with referenes to Myst continuity, including things from the novels. I assume there’s disagreement on this, but I regard this as a weakness. The more we learn about D’ni history, the easier it is to mentally classify it as just another fantasy world instead of something strange and unique. This series may be ending at just the right time.